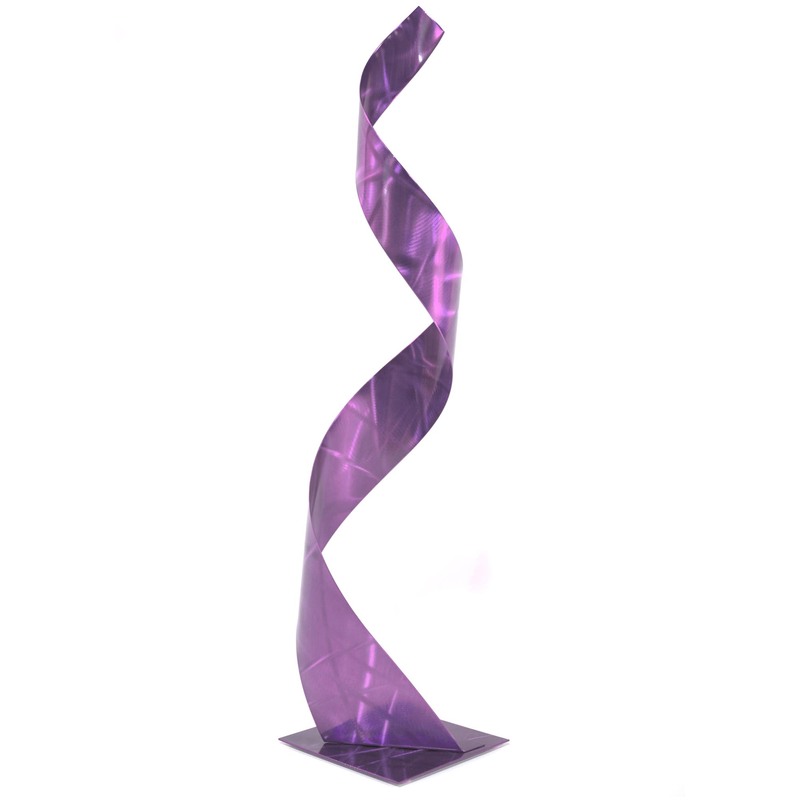 Lady in Purple Sculpture is a stunning 8in x 36in free-standing piece with elegant curves and weightless movement, produced by Helena Martin in Cincinnati, Ohio, USA. 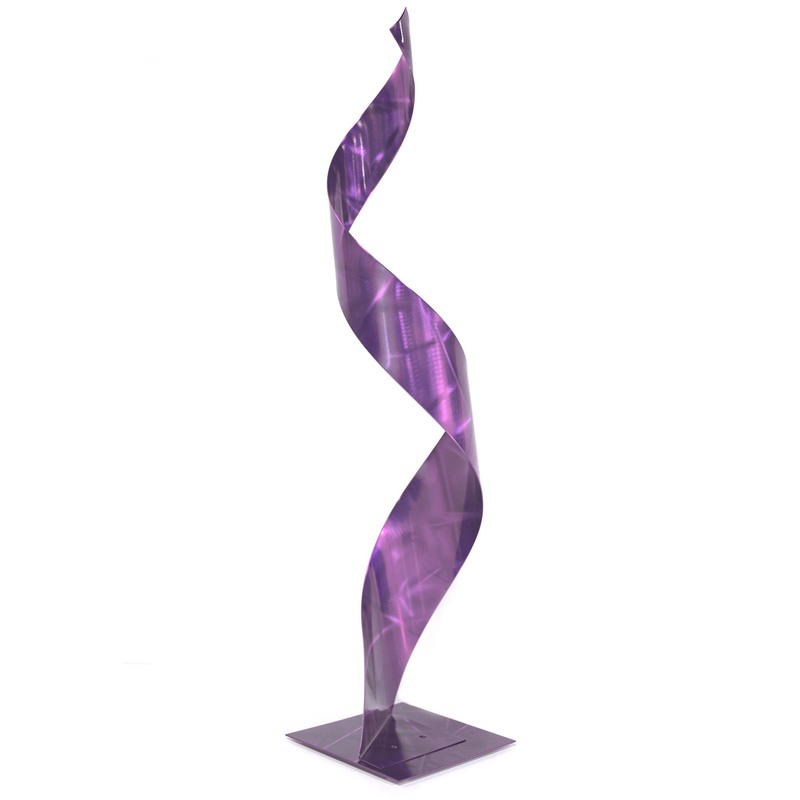 This abstract figurative art is a hand-crafted original sculpture with reflective grind patterns behind semi-transparent acrylic paints, creating a brilliant accent piece in purple, violet, royal, metallic, etc. 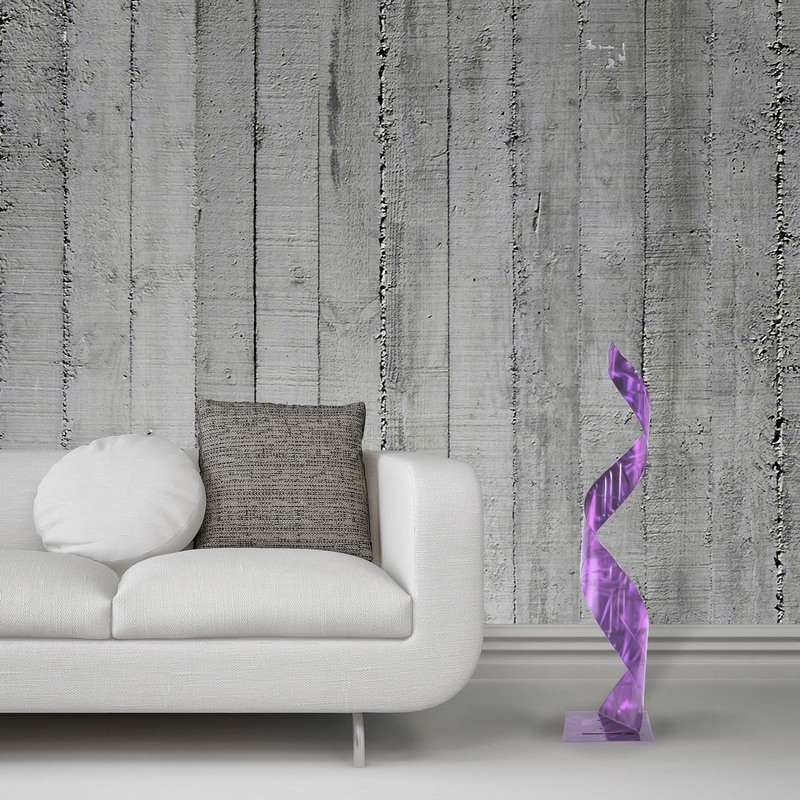 The ground and painted metal is inherently durable but flexes enough for some subtle kinetic movement, and the artistic high gloss finish is both attractive and easy to clean. It arrives fully-assembled to the padded base, and is suitable for indoor/outdoor placement as the protective finish is both weather and fade resistant. 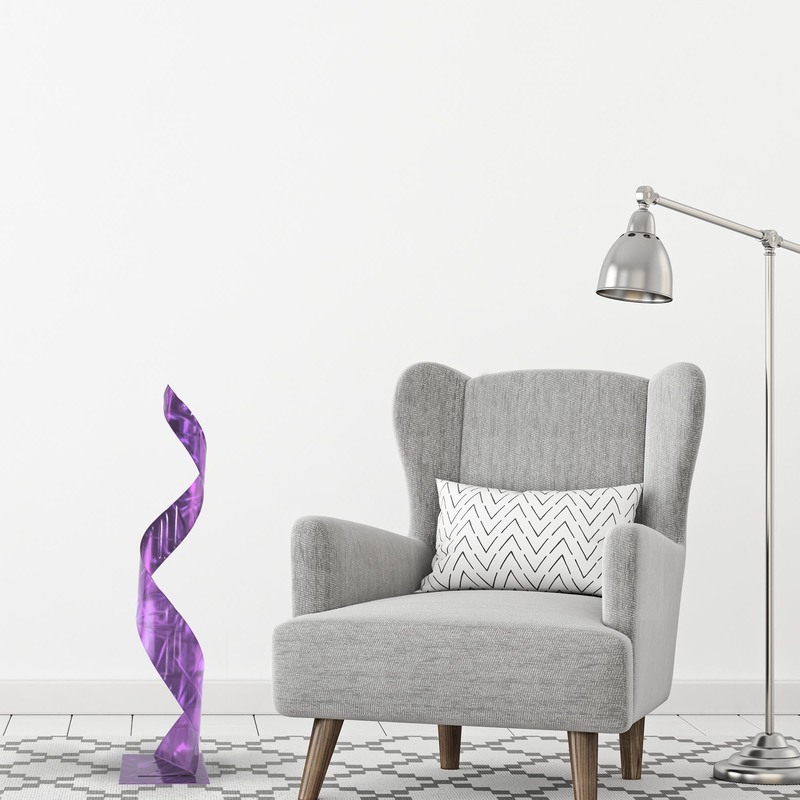 An organic, unique statement piece like this makes a gorgeous addition to our abstract style, contemporary collections.